Our goal is to modernize data acquisition so that users can focus more on the data itself rather than the data collection process. Current DAQs on the market are clunky, hard to configure, and have ugly user interfaces! We at DAQifi are committed to creating powerful yet user friendly and intuitive products. After the DAQ has been configured to collect data on one or more of its digital or analog ports, the data is sent to a client – PC, tablet or smart phone. Running our software, each device is capable of logging and displaying your data. This allows one central location to configure and collect information. Gone are the days of one workstation per DAQ! 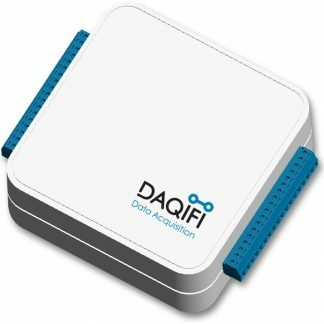 One of the greatest features of the DAQifi system is the easy to use client interface. The user can easily view, connect, and configure all connected devices from one screen. Additionally, unused channels and controls can be hidden for an uncluttered display and data log. Currently windows desktop and android devices are supported! Coming soon is our first product line, the Nyquist. The Nyquist comes in three different flavors. – (Nq1,Nq2,Nq3) to meet the your data acquisition needs.